Our Interstate shields conform to Federal M.U.T.C.D. 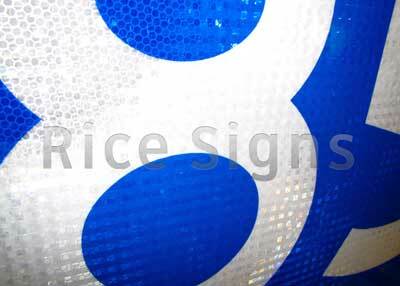 standards and are made from high quality reflective films on .080" aluminum. 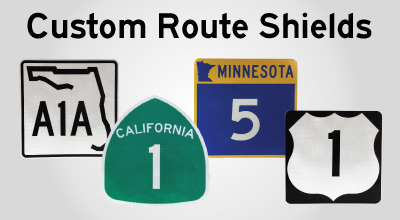 Enter a number and state name to customize the Interstate shield. 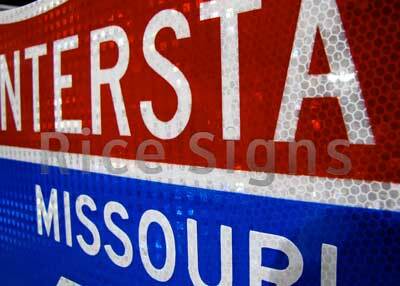 The purpose of numbering and signing highway systems is to identify routes and facilitate travel. 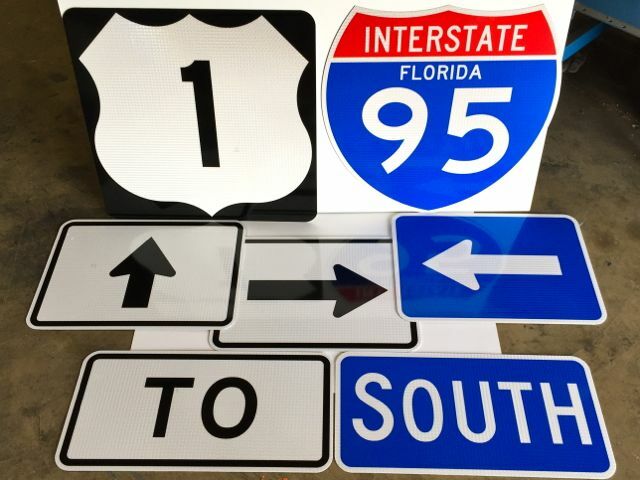 The Interstate and United States (U.S.) highway systems are numbered by the American Association of State Highway and Transportation Officials (AASHTO) upon recommendations of the State highway organizations because the respective States own these systems. 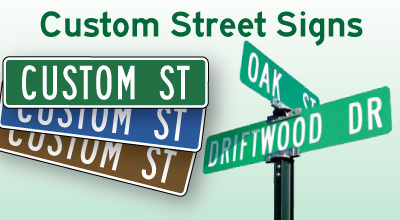 State and County road systems are numbered by the appropriate authorities. 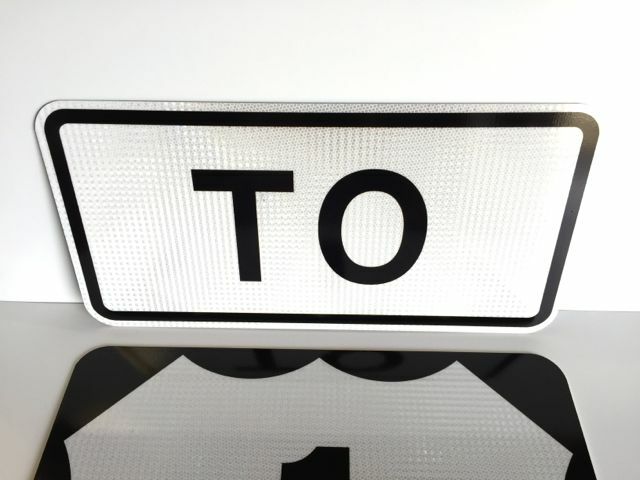 The basic policy for numbering the U.S. and Interstate highway systems is contained in the following Purpose and Policy statements published by AASHTO (see Page i for AASHTO’s address): A. “Establishment and Development of United States Numbered Highways”; and B. “Establishment of a Marking System of the Routes Comprising the National System of Interstate and Defense Highways.” Guidance: The principles of these policies should be followed in establishing the above highway systems and any other systems, with effective coordination between adjacent jurisdictions. Care should be taken to avoid the use of numbers or other designations that have been assigned to Interstate, U.S., or State routes in the same geographic area. Overlapping numbered routes should be kept to a minimum. Standard: Route systems shall be given preference in this order: Interstate, United States, State, and County. 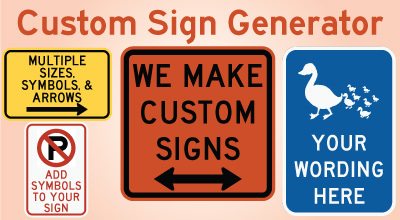 The preference shall be given by installing the highest-priority legend on the top or the left of the sign panel.